I have been a lawyer since 1981 and moved from Toronto to Whitby, Ontario in 1985 leaving the big city firm. Originally I worked with another lawyer in Whitby, David Gillespie, who went to Trent University with me before law school. We were Gillespie and Miskin practicing in Association with an office next to the Whitby post office. After 3 years I went on my own and made a big splash opening Miskin Law Offices in the former Whitby Public Library building, a 1914 Carnegie Library which had seen better days before. My wife Nancy and I restored the Library to its original condition and in the process Miskin Law became well known in Whitby and the surrounding areas. The Miskin Law Practice expanded bringing in Associate lawyers at different times and moved to 4 different locations in Whitby trying to find the ideal arrangement. In late 2002 Ontario lawyers were first allowed to incorporate their law practices and our firm was one of the first to make this shift. As a corporation we included the Mediation services of Nancy Miskin and brought in two Associates including Michelle Brown, a personal injury lawyer, who has made a great contribution to the firm over the past five years. Michelle will soon be leaving the firm to start her own practice independently and I hope she has much success. The Corporate model of law firm did not really work for us and we are in fact downsizing and trying to create greater efficiency. We are back to Murray H. Miskin, Barrister and Solicitor, in a solo practice of law. We are reorganizing staffing and trying to be more focused in what we do to better serve our existing clients. We have given up our Yonge Street Toronto office and developed a more local focus in the Whitby and Peterborough communities where we continue to have offices. We are also expanding our national concentration with increased work on the Vioxx case and in getting compensation for victim of asbestos related diseases such as Mesothelioma. We will be marketing less and keeping a lower profile as we concentrate on serving the clients we have rather than growing larger. I am now 55 years old and thinking that I will not be continuing this law practice for many more years. Running a law practice is extremely stressful and demanding. For almost 2 years my wife Nancy has been disabled, unable to work due to a very serious stroke and I spend a lot of time as a caregiver. It is my hope to slow down in my work and make a shift to doing exclusively Arbitration and Mediation work in 3 to 5 years. This greatly changes our law firm's approach and you will see it if you deal with us or come to us for a consultation on a new case. We will not be taking on as many new cases and we will stay closer to our areas of specialization such as serious motor vehicle accident and other injuries. We will serve our local communities and their general legal needs with work on real estate transaction and Wills. Our website adrworks.com was started in 1997 and is one of the first legal websites in Canada. The site was completely revamped a year ago to the interactive Wordpress format. The site will continue to change as we become more specialized and move back toward our site's roots in Alternative Dispute Resolution (ADR). When the site began I spent much of my time teaching Arbitration but demand for that training dropped after that. As my own work focus is shifts more to being an Arbitrator and a Mediator you will see more ADR content at the adrworks.com site. 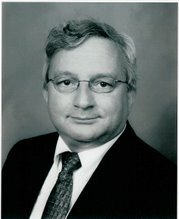 I am not like other lawyers in my work or my approach to the practice of law and my clients have benefited from the creative and innovative techniques we have used to advance our clients' interests. I promise to continue to be different and stay on the leading edge of the practice of law for so long as I do continue.